Registration for the Chalk It Up! 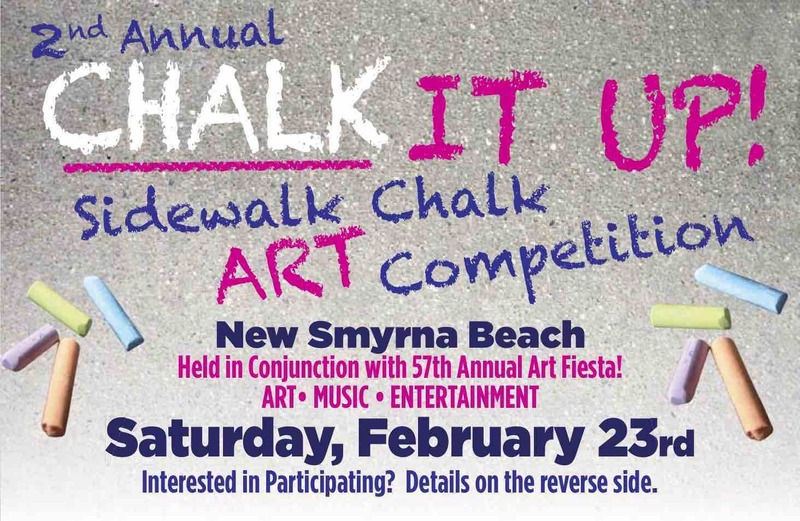 Sidewalk Chalk Art registration is at 9am and the event ends at 4pm. Judging will then take place and the Awards Ceremony begins at 5pm. Free registration for all! Monetary awards will be given in all categories. Please fill out the registration form. Return to The Hub on Canal, 132 Canal Street, New Smyrna Beach, FL 32168 in person or by mail. On-site registrations the day of the event will be accepted as space allows. The event is free for artists of all ages!